What are your hopes for Parkinson’s Awareness Month 2018? 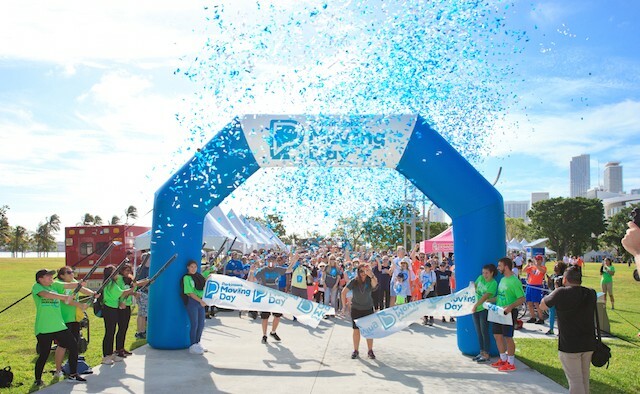 John Lehr: This month we’re hosting nine Moving Day walks across the US. We often generate lots of interest with several thousand individuals attending across the country. We’re also asking people to film themselves talking about their Parkinson’s and post the videos to social media – these things can go viral and that’s our hope. We’re happy to push the #UniteForParkinsons campaign out to the community here in the US, along with our own #StartAConversation campaign. In addition, we’re in talks with lots of different news organisations and journals to try and highlight what we’re doing as a foundation and find out the needs of the community. Around a year ago, John, you spoke to us about your new role at the Parkinson’s Foundation. Could you tell us what’s been happening? John Lehr: We have identified three broad focus pillars. The first is to ensure that people with Parkinson’s are getting the best care available, because we believe that only a small fraction of people are actually getting the highest standard of care. The second is to continue to make advancements in understanding the underlying causes of the disease. And the third pillar is really focusing on educating and empowering people with Parkinson’s – and their care partners – so that they have the information they need to engage with the care environment, the clinical environment, and other aspects of their lives so that, ultimately, they have a better quality of life. Do you feel that enough is being done for people with Parkinson’s in terms of care, research and financial support? John Lehr: No, I don’t. Parkinson’s affects millions of individuals in the US, and 10 million individuals worldwide. We believe that only a fraction of individuals with Parkinson’s here in the US are getting what we call the highest standard of care. And what we know is that when you get good care – probably from somebody with considerable training in Parkinson’s and in a team-based environment – you’re less likely to have poor outcomes. What we would like to do is make sure that, across the healthcare continuum, everyone understands the best approach to Parkinson’s. How far has the Parkinson’s Foundation come in the last year in terms of improving the quality of life of people living with Parkinson’s? John Lehr: Our Parkinson’s Outcomes Project is the largest ever clinical study of Parkinson’s disease with 10,000 participants in five countries, where Parkinson’s Foundation’s Centers of Excellence track and monitor their care of people with Parkinson’s over time. I think one of our key findings has been the important role of exercise. So, one of the things that the Parkinson’s Foundation has been doing within our granting programmes is emphasising the importance of exercise, no matter what it is. Whether it’s boxing or getting out and dancing, any exercise is good. Which areas of research would you like to see more focus on in the future? James Beck: We don’t understand the causes of the condition in the majority of people. 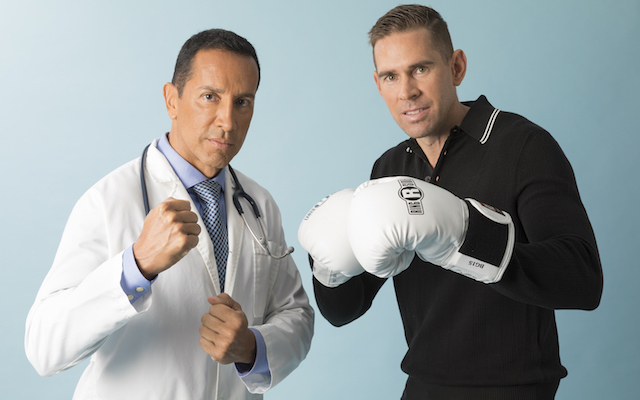 For 10–20% of people with Parkinson’s there is a clear genetic component to their disease. This is helpful because it suggests one of the reasons why they have the condition. But for the other 80%, its causes are still unknown. There are still some fundamental questions surrounding Parkinson’s that we just don’t know the answer to. We would like the national health care bodies here in the US to put more money into Parkinson’s research because the basic questions need to be answered. People can live for many years with Parkinson’s, but it’s a degenerative disease and so access to healthcare services can be a challenge. We’ve had some success here in the US as Congress recently repealed the cap on therapy, which was a big success for our community. But it’s just a drop in the ocean in terms of what we need to do for people with Parkinson’s. 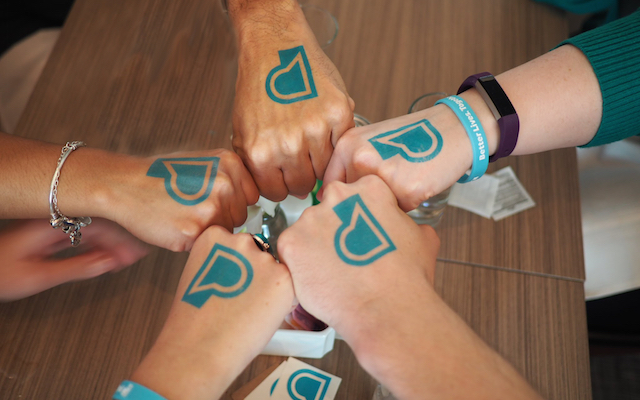 How will you #UniteForParkinsons and #StartAConversation on World Parkinson’s Day? John Lehr: It’s really important to destigmatise Parkinson’s – get people to really talk about it. It’s a complex condition. Many people will see and know about the tremors, but they might not know that their loved one is struggling with depression, or apathy, or insomnia. We want people to know that Parkinson’s can include all the symptoms. So, the foundation will be getting heavily involved on social media.